It's a beautiful temple photo - brings me back to my days in Gifu-ken! Domo arigato gozaimashita! The colours are so nice. The little stream is pretty too! 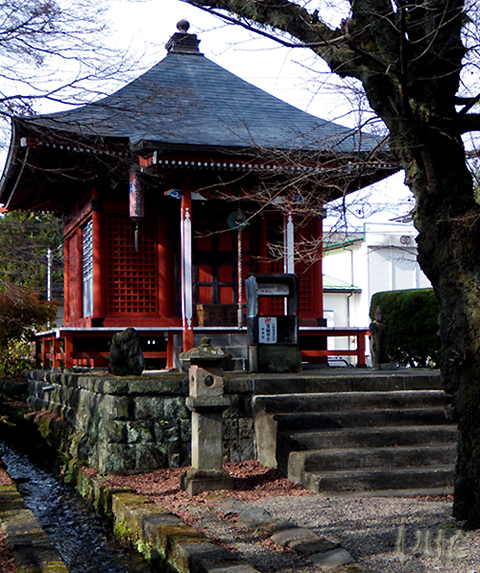 It is a beautiful temple and stream, great photo. Thank you all! It is a beautiful place to work - it's a buddhist kindergarten and has a temple attached to it. I teach at two buddhist kindys. The other one I still need to photograph, it's in Moka and it's magnificent!